Nine Lives DVD and Blu-ray release date was set for November 1, 2016 and available on Digital HD from Amazon Video and iTunes on October 25, 2016. Tom is a well-to-do businessman who has nearly reached the pinnacle of success - the northern hemisphere's tallest building. Amidst all that money making though, he's missed out on a lot of family time. When he's running late for his daughter's birthday party and he's without a gift, he stops to get her the one thing she's always wanted, a cat. 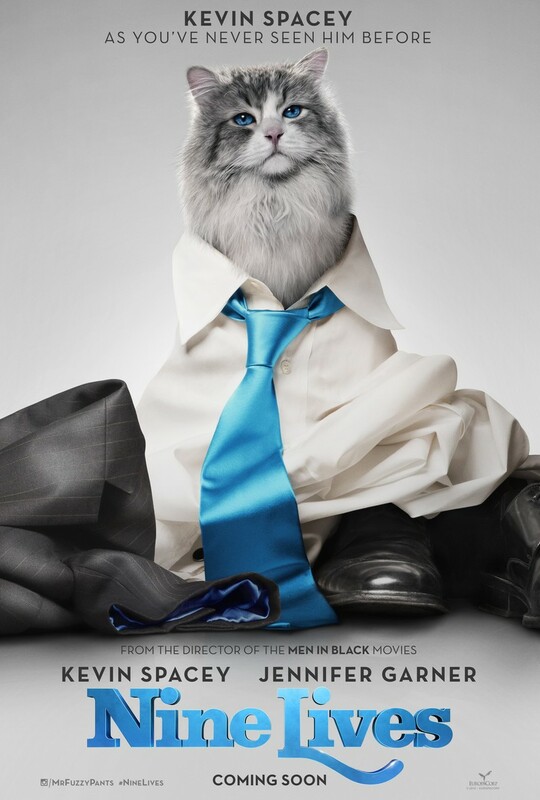 An accident causes Tom to become one with the cat and after being adopted by his own family, he starts to learn that there is more to life than building the tallest skyscraper.